The publication of Ella Diaz’s study on the Royal Chicano Air Force art collective ﬁlls a major gap in the history of Chicana/o art in theUnited States. 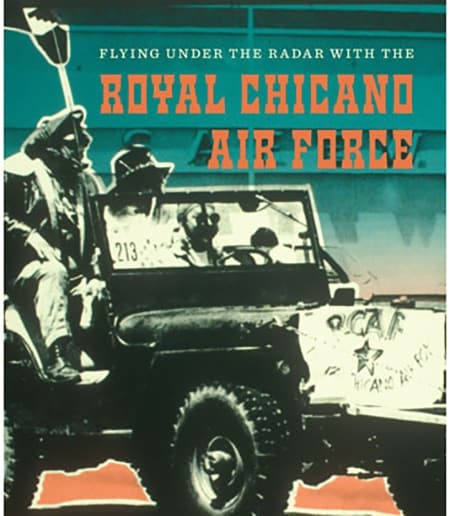 Diaz's book, Flying Under the Radar with the Royal Chicano Air Force: Mapping a Chicano/a Art History (2017), was recently reviewed by the Latino Studies Journal. The journal explores the local, national, transnational, and hemispheric realities that influence the Latina and Latino presence in the United States and also offers book and media reviews which focus the view of scholarship on the experience of Latinas and Latinos in the United States.